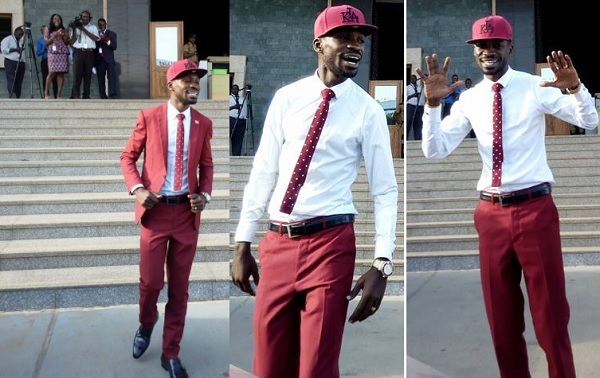 Fresh from his short Italy holiday, Bobi Wine was able to attend the July 19, 2017 parliamentary session. It could pass as his first now that the last time he was in parliament focused more on taking oath. 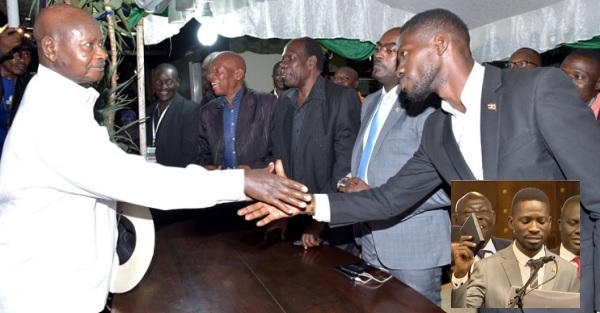 He actually pulled out after a short while to go and join his supporters for the victory party. The legislator came clad in a maroon suit, a color which is not allowed if you are to follow the fashion Do's and Dont's of public servants. Whereas public servants are supposed to don suits, they should be mindful of the colors. In the recent circular that was issued to public servants regarding what to wear during office hours, Public servants are to stick to these colors; Dark green, navy blue, brown, gray and black suits. 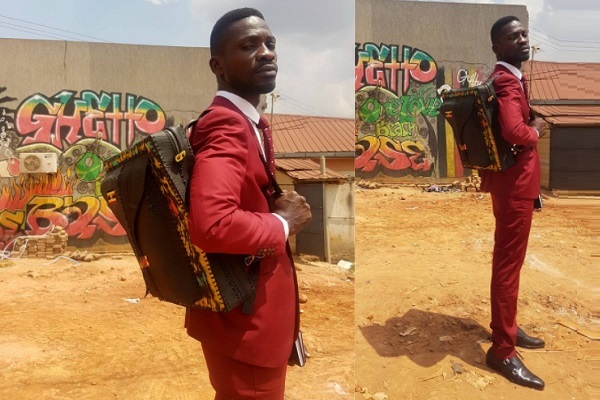 When he got out of the house, all eyes and camera's were on none other than the newly elected Kyadondo legislator who was a shadow of his former self regarding the dress code and hairstyle. Out of the house, he pulled off his jacket and straight on put on his KLA cap and walked in his gladiator style to some journalists that were waiting. In the house, salary increments for public servants was discussed among others. Asked about how his first parliamentary session was, Hon. 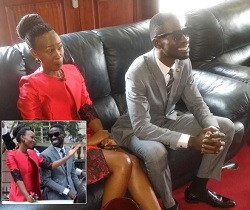 Kyagulanyi said that being the first day, he did more listening than talking as a way of trying to understand how business rolls in the house.